Chance The Rapper is a famous American hip hop recording artist who gained immense popularity after releasing a series of mixtapes, including the acclaimed ‘Acid Rap’. His third mixtape ‘Coloring Book’ became the first streaming-only album to win a Grammy and earned him three Grammy Awards altogether. Chance The Rapper was born on the 16th of April 1993, in Chicago, Illinois, United States of America. He’s currently 26 years old. Johnathan Bennett attended the Jones College Prep High School. There he was a member of the Jewish Student Union. He later enrolled to a community college but dropped out after a week to pursue a career in music. Chance The Rapper began dating Kirsten Corley in 2013. In September 2015, she gave birth to their daughter, Kensli. They both got engaged on July 4, 2018. When I write, I work off of a theme, an emotion, a narrative – thinking of it and then expounding on it. I think when you’re in my position as an artist, I can say what I want and talk about the issues that matter. Chance the Rapper released his debut mixtape, 10 Day on April 3, 2012. A year later, he released his second mixtape, Acid Rap to critical acclaim. His third mixtape Coloring Book was released on May 12, 2016, streaming on Apple Music. He received seven nominations at the 59th annual Grammy Awards, winning 3 Grammy Awards, including Best Rap Album. 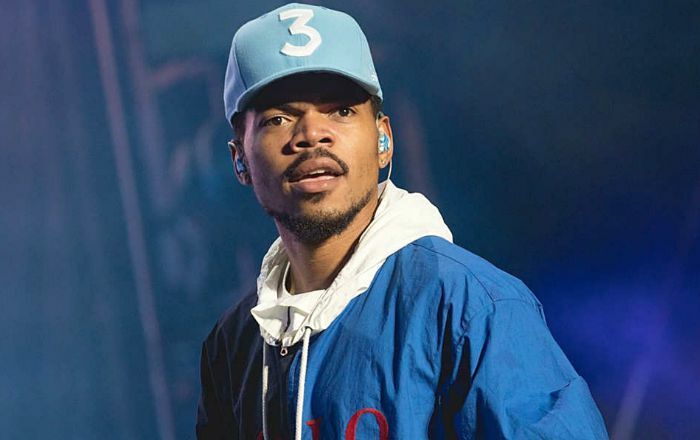 Chance The Rapper hasn’t been cast in a feature film. However, in 2015, he appeared in a short film ‘Mr. Happy’, directed by Colin Tilley. He makes his debut as a voice actor in the 2020 animated film, ‘Trolls World Tour’. In 2013, Chance appeared in the Adult Swim’s comedy series ‘The Eric Andre Show’. Though Chance The Rapper might be still in his early career, he is one of the finest hip hop artist out there. He is best known for his mixtape, ‘Coloring Book’, which debuted at #8 on Billboard 200, becoming the first release to chart solely on streams. It received three Grammy nominations including Best Rap Album. It also became the debut streaming-only album ever to receive a Grammy nomination. Chance has appeared in a number of TV commercials including H&M, Nike, Subaru Impreza, New Era, Kenzo, Kit Kat, Texture App, Myspace, 2017 Firefly Music Festival, Apple Music and ESPN’s NBA. I still think that God means everything to everyone, whether they understand it or not or can see for themselves. Chance the Rapper has a net worth of $9 million. He has many cars to his car collection, including a Lamborghini and a Land Rover. He developed a love for music after listening to Michael Jackson songs and continued to listen Billie Holiday and Sam Cooke music while growing up. He cites Kanye West as his biggest musical influences. Bennett and West met each other in August 2014 at Bonnaroo Music Festival. Bennett’s music has been described as versatile and uplifting. His music generally contains jazz-inspired melodies and gospel influences. He became the first artist to be nominated for a Grammy with a streaming-only album. In November 2014, Mayor Rahm Emanuel awarded Chance the Rapper with Chicago’s Outstanding Youth of the Year Award for his social work. In 2015, Forbes magazine placed Chance on the 7th spot in the “Forbes 30 Under 30” music list. In May 2017, He was included in TIME magazine’s “The 100 Most Influential People” issue with an homage written by Common. Chance the Rapper has also appeared with artists such as Jeremih, R. Kelly, James Blake, Kanye West, Lil Wayne, 2 Chainz, Young Thug, Future, T-Pain, Skrillex, Common, Madonna, Busta Rhymes, and Macklemore & Ryan Lewis.